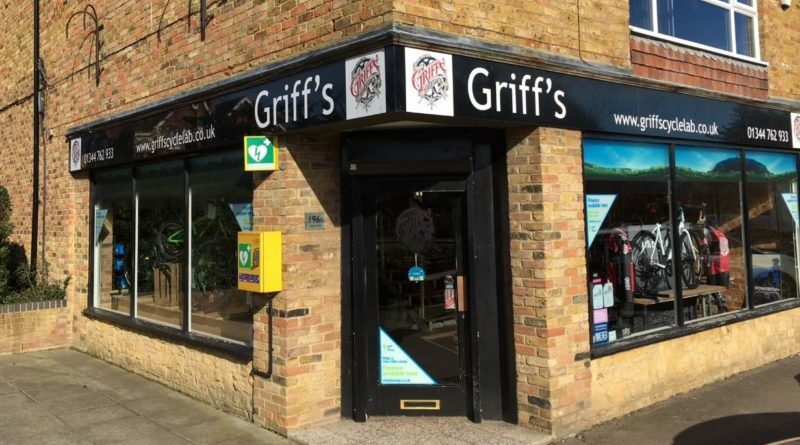 Berkshire-based bike retailer Griff’s Cycle Lab has informed CI.N that the retail business is now for sale as a going concern, with the owner Kevin Kinghorn suggesting that the ideally situated premises would make a strong option for any retailer looking toward expansion. 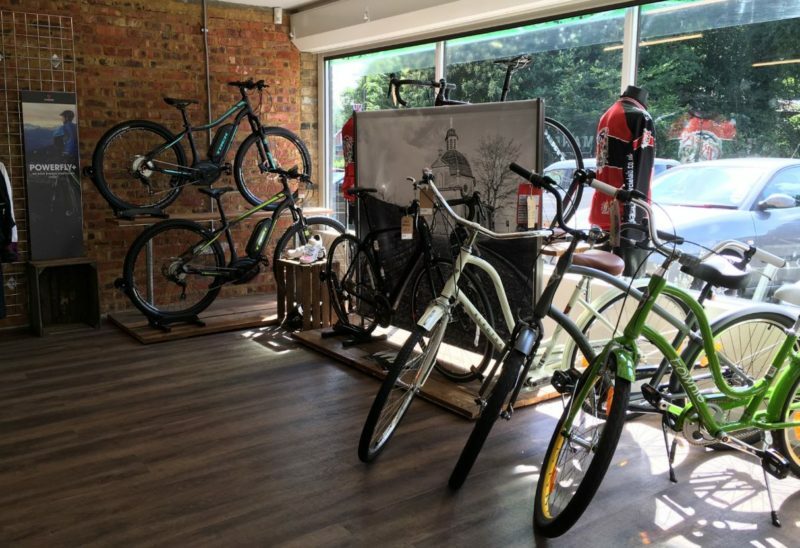 With an exclusive catchment in place with Trek UK, the store has enjoyed steady custom since its 2014 inception when it came onto the scene on the very same parade of shops that has formerly housed Cycology, In-Tension, iBike and CycleZone. 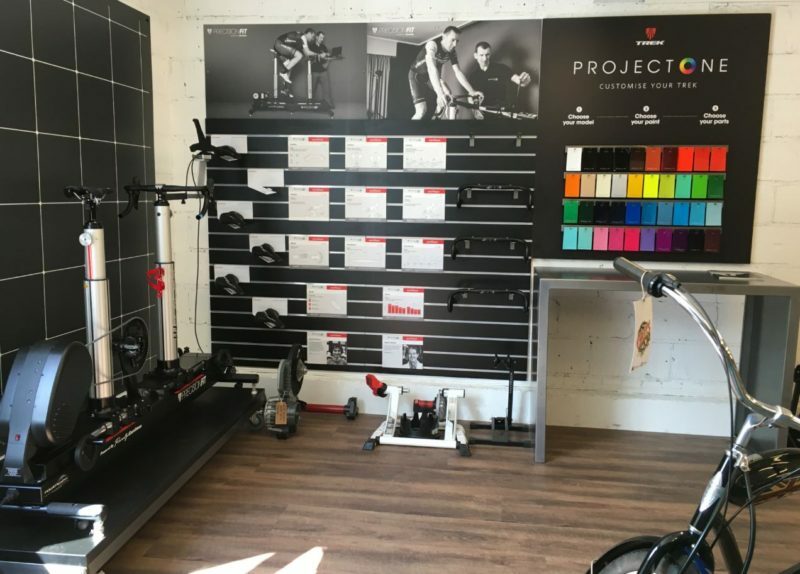 The business is based around a retail and workshop model, including bike fit services, demo bikes and has conducted shop rides & maintenance classes in the past. The shop is based on a busy main road, just along from the local train station and has it’s own car parking at the front and rear of the shop, making it ideal for a workshop drop off operation or business assessing event hosting. “It tends to operate as a destination location,” starts Kinghorn. 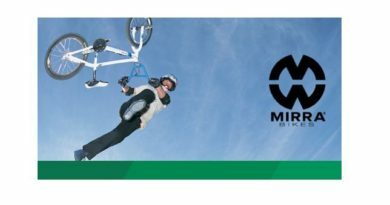 “We’re well integrated into the local cycling fraternity and support three local clubs, MTB, road and triathlon, as well as being used by other local cycle groups as a ride meet point. We’ve also developed commercial relationships with the prestigious Wellington College, Waitrose Head Office and Berkshire Lowland Search & Rescue, amongst others.”. The workshop is quite something, providing scope for growth, believes Kinghorn. 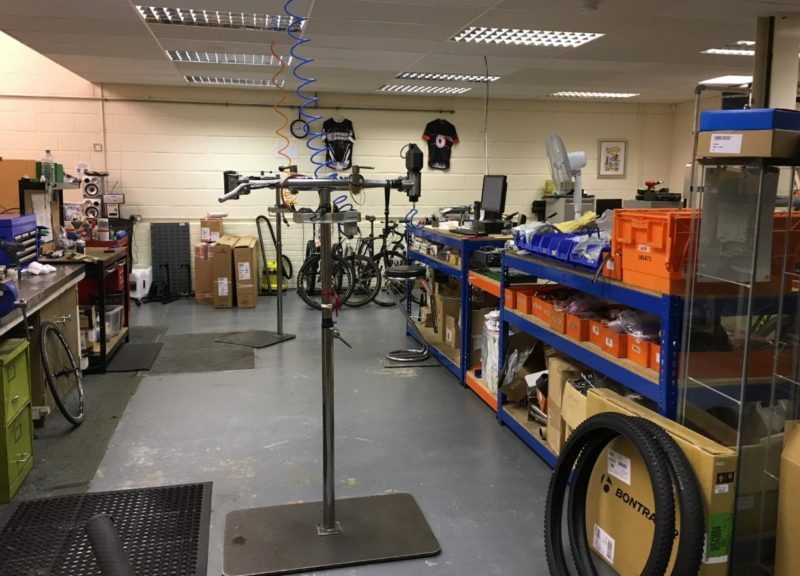 Measuring at 1,400 square feet the workshop’s on the larger side for an independent store and even boasts a purpose-built bike wash. The shop floor measures at 1,900 square feet, across two floors. 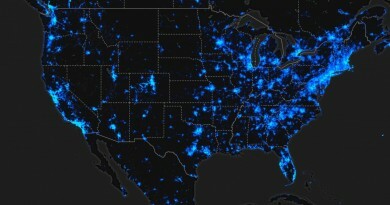 “Due to our location, both workshop & sales revenue is split roughly 50/50 between road & mountain bikes,” states Kinghorn. On the market as a going concern, the offer to take on everything from staff, through fixtures & fittings, stock, tools and website is open to potential buyers. “The successful buyer could turn up, unlock the doors & simply continue trading. I’m also open to staying on for a period to provide handover support before my relocation” says Kinghorn. 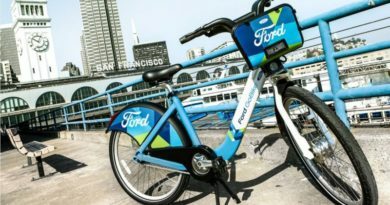 So what’s the scope for the future? 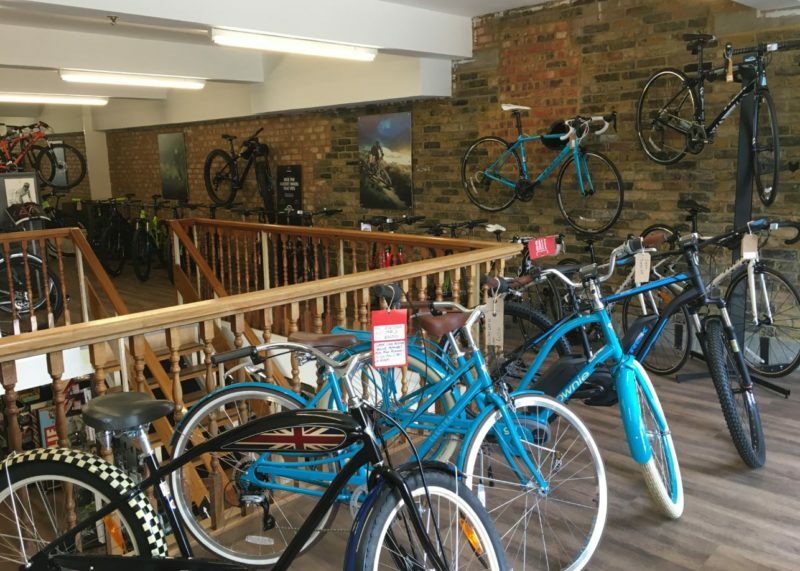 At the time of sale the business has a number of opportunities to tap into new markets, we’re told, with triathlon trade, eCommerce, adding Sunday hours, the scope to add a cycle cafe outside and the already explored expansion of electric bikes just a handful of areas to expand. 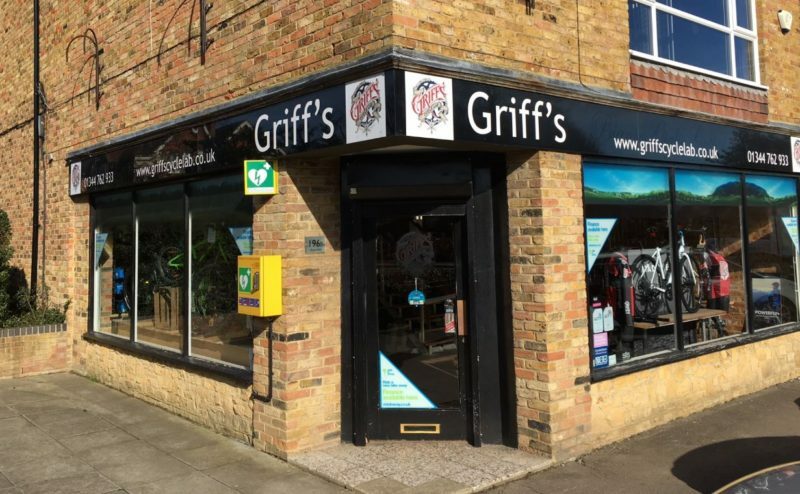 “For me, the purpose of Griff’s is to provide a one stop shop for people passionate about cycling, irrespective of whether it’s their first bike or fifty first bike.​ Over time, we’ve built our reputation and the range of services & products offered to really establish ourselves amongst the local cycling fraternity,” concludes Kinghorn. The store boasts an average annual turnover of £320,000 and average gross profit of £127,000. Financial and sale documentation is available upon request. Are you currently considering selling your business? CyclingIndustry.News can place your premises in front of the eyes of trade professionals. Email us here to discuss your needs.